PART of the Christchurch tragedy that has unfolded over the past three days is the unwanted - but inevitable - media scrutiny of the communities affected. When unprecedented terror events like the one committed by 28-year-old white supremacist Brendon Tarrant strike, the world - including us right here in the Clarence Valley - sit and watch. We stare in shock. We shed a tear for the victims. We ask ourselves what kind of world do we live in? We feel a little bit less safe. How will Tarrant's actions influence like-minded individuals? How will the relatives of the victims react? Every other time something like this has happened, however, we have had the luxury of removing ourselves from it. It happened somewhere else - by someone else who is not like us. Every other time, we are just like every other community in regional Australia, and cities and countries around the world, full of normal people consuming the news. This time we're caught up in the crosshairs of the media, not because a tragedy happened here, but because the perpetrator grew up here. It is a hard pill to swallow. What's more, this time it's one of the most horrific set of events to hit our screens, and all in a very calculated way. This tyrant used the world's insatiable appetite for information and addiction to social media against itself. The media was powerless to stop itself from playing out the machinations he crafted. Many people saw what they should never see. It's a weird situation to find yourself in. Naturally, as humans we are in collective shock over this unprecedented act of terror. One part of us says we're not the victims here. The real life victims are in Christchurch. But our local community - especially the relatives - are the collateral victims here, drawn into this by association, but arguably just as innocent as those killed. 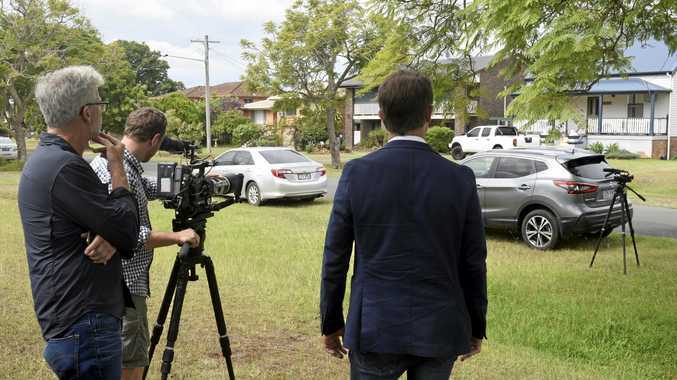 Media outlets from all over Australia and the world subsequently descended on his birthplace in an attempt to unearth secrets, ideologies, leads that might suggest why this place would be the birthplace of white supremacy more than another. Families have been hounded and private lives disrupted as media organisations sniff out possible angles to sell to the world. They came in search of answers to explain this dispicable crime. But for the most part they walked away empty handed. Instead, they walked all over a community in grief, at a loss to explain how a man who had a relatively normal upbringing in Grafton who left in 2011 would turn up at Christchurch eight years later and open fire on two mosques. He could have been from anywhere. He's acted alone, travelling the world to piece together his beliefs and motivations. Yet he created a legacy for us here we are powerless to stop. Like others turned inside out before us, we run the risk of becoming a community more fearful, more divided. It's natural to be defensive. We don't breed white supremacist extremism, do we? The worst we can do is to react with more hatred. It is a time when we should show solidarity, to highlight the strengths of our community, and be living, breathing examples of peace.